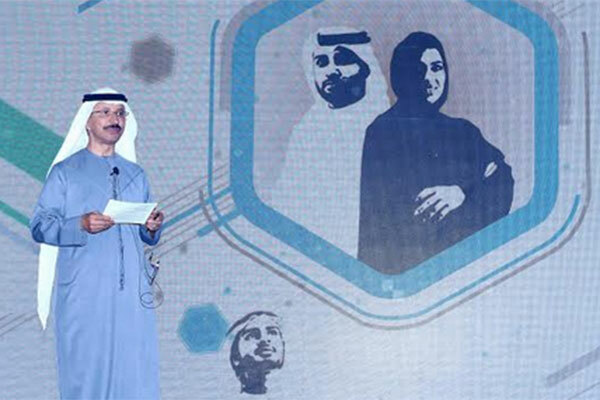 Dubai-based Jebel Ali Free Zone (Jafza), a company of DP World and one of the world’s leading free trade zones, recently celebrated the graduation of its second batch of students from its Tumoohi training programme. Tumoohi, which means “My Ambition”, is a training initiative designed to help young and talented Emiratis develop the skills necessary for today’s office environment by providing hands-on workplace experience through apprenticeships. This year saw 35 Emiratis apprenticed to 11 major firms. The programme has garnered widespread support from the public and private sectors as seen by the large number of organisations that have offered their support to it in varying capacities. Among them are three strategic partners: The Ministry of Human Resources and Emiratisation, Zayed University and the Higher Colleges of Technology. Another 40 organisations have either signed or pledged to sign with Tumoohi by offering placement opportunities for apprentices from a wide variety of sectors. The event will see numerous multinational corporations such as ABB, Maersk, Imdaad, Red Events, and Eros signing agreements. Sultan Ahmed Bin Sulayem, Group chairman and CEO, DP World, said: “DP World is dedicated to supporting the UAE government in its goals to bring about employment growth for talented young Emiratis, and we seek to emulate successful initiatives like Emiratisation. Our focus is to provide platforms that cater to a variety of skillsets and competency for the youth through collaboration with numerous organisations and entities. Our 20XEL programme, which provides high level management training to handpick Emiratis at some of the world’s most prestigious institutions, such as the Wharton Business School at the University of Pennsylvania, is proof of how successful this approach can be. Mohammed Al Muallem, CEO and managing director, DP World, UAE Region said: “Tumoohi is our way of keeping our promise to help identify and nurture local talent that will become future leaders that drive forward trade and commerce in the UAE. Jafza believes that there is a need for more Emiratis to attain leadership positions in the corporate sector, and through this programme, we seek to provide them with needed work experience that is vital to develop an understanding of the workings of their industry. Manal AlBayat, chief community engagement officer, Expo 2020 Dubai, said: “At Expo 2020 Dubai, we are proud to support the Tumoohi programme because we believe in the power of our nation’s young people and the importance of providing them with the right opportunities to learn and grow. Tumoohi was started in 2016, and currently offers placement opportunities in a range of fields, including law, industrial manufacturing, logistics, FMCG, oil and gas, automotive and healthcare.